We are delighted to announce that The Charity Commission for England and Wales has approved The Hibbs Lupus Trust’s application for full charitable status. A great opportunity to cycle the Stafford GP whilst supporting The Hibbs Lupus Trust with the creation of the Lupus Lap, a one off chance to ride the course the professionals will take on later in the same evening. This is a great opportunity for people living with lupus to meet and share experiences with others in a similar situation. 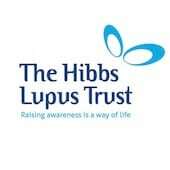 We look forward to welcoming you and introducing The Hibbs Lupus Trust. On Saturday 31st March 2012, members of The Hibbs Lupus Trust travelled down to London to cheer on John who had been selected as 1 of 5,000 runners to take part in The National Lottery Olympic Park Run! The Love Life Love Running Festival is a unique event in the running calender offering runners a weekend of running, stunning scenery, live music and great value for money.